Shaping up to be one of my favourite albums this year (and it hasn't even been released yet), White Lies' mammoth return earlier this year with Take It Out On Me has had be salivating in anticipation for their forthcoming fourth studio album 'Friends'. A return to a sound that had me falling in love with them way back in 2009, the band's latest single to be taken from their new album proves to be just as euphorically and sensory pleasing as previous material and solidifies my views towards their upcoming release. 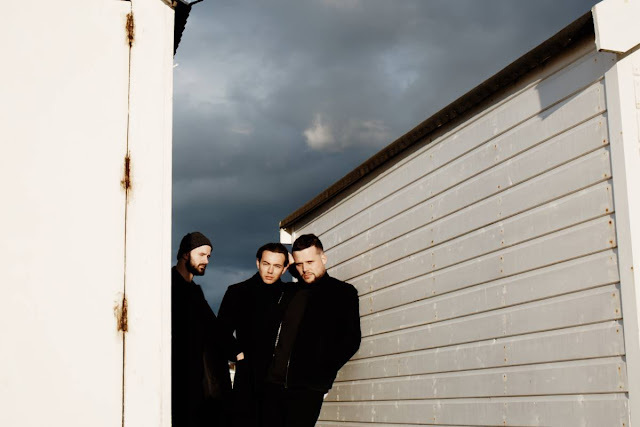 "'Come On' was a late addition to the album, and we had made multiple demos of it, but until we tore it to pieces and put them together again, it had stayed in our back pocket" explains White Lies’ Charles Cave of the song. "We couldn't be more pleased with how it turned out, and feel it's set to be a real live favorite. It's a song about when any noise feels too loud, and any quiet feels too unnerving; when there's things that need to be said that have been bothering you, but you're not sure you'll ever be ready to say them". Take a listen for yourselves below.